In the last post, I introduced the concept that we actually have multiple minds. At first glance, that might not seem like such a good thing since the Bible clearly states that a double-minded man is unstable in all his ways (James 1:8). But what if I told you that we actually have three distinct minds because we are three-part beings? Furthermore, that this verse will make much more sense at the end of this post? We have to start with the truth that God designed us with three distinct parts: body, soul, and spirit. There are many verses in the Bible that establish this fact, but 1 Thessalonians 5:23 makes it irrefutable ... may your whole spirit and soul and body be kept blameless at the coming of our Lord Jesus Christ. The body is obviously our flesh or physical structure; bones, marrow, and all our organs, including the most important one [from Jesus's standpoint], our heart. The soul is our mind, will and emotions; or put another way, our emotional and intellectual capacity coupled with our behavior. And of course, our spirit is made in the image of God, "according to His likeness" (Genesis 1:26); it is the actual breath of the Almighty in us and we have a spiritual personality with its own mind. In fact, our body has a mind, with which we are all quite familiar; and our soul has its own unique mind, too. If all this is new and foreign-sounding to you, don't worry -- most Christians are unaware of this truth even though the Bible shows us that our soul, heart, and spirit have minds in addition to our physical mind. We are all aware that we have a conscious mind, which enables us to be aware of the world and our experiences in it. This conscious mind operates as an element of our soul (mind, will and emotions), working with our human brain (physical mind) to develop thoughts based on information we process. But can you see how that might cause us problems if these thoughts [from our soul] don't align with God's will for our lives? 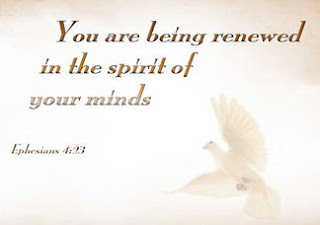 That's why Paul warns us not to operate out of our soul's mind in Romans 12:2, Do not be conformed to this world, but be transformed by the renewal of your mind, that by testing you may discern what is the will of God, what is good and acceptable and perfect. When the worldly mind of our soul is renewed -- focused anew on the mind and will of God -- then we can truly become transformed into His likeness, thinking from His mind's perspective. Now, let's consider the mind of our heart. Proverbs 4:23 tells us to guard our heart because "out of it flow the springs of life". The heart is of utmost importance to our Savior. He longs to occupy the throne of our heart, having complete dominion over it, sharing it with no one else. And He places the Holy Spirit in the "Holy of Holies" portion of our heart, where we cannot be defiled. BUT, if Jesus does not own our whole heart, it becomes a battleground. The Spirit of God feeds spiritual insight into the heart, and the soul feeds carnal information into the heart. 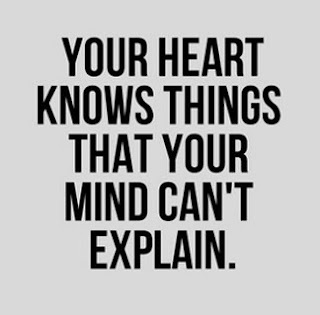 Then the subconscious mind of our heart processes that information and determines our reality and our identity. Proverbs 23:7 says, "For as he thinks in his heart, so is he". We are not even conscious of our heart's mind, but if we let those thoughts of our heart determine our behavior and assign who we are, that reality comes in direct conflict with Christ occupying all of your heart. Christ wants to dwell in our hearts by faith (Ephesians 3:17) so that we might comprehend the nature of God and His love. But if there is any part of our heart not surrendered to Him, then the subconscious mind of our heart can be influenced by deception, sin, and ideologies/theology that undermine the power and authority of God in our lives. Then there is the totally new concept that I am digesting and coming to understand ... the mind of the human spirit is independent and autonomous of the mind of our soul. Remember, when we are saved our spirit is seated together in Heaven with Christ Jesus (Ephesians 2:6). The ideal goal is to get our soul's mind to be continually aware of [and sensitive to] the mind of our spirit so that we can become more like Jesus. How does that work, you ask? Remember, that Jesus only acted out of His humanity while on earth. So when He was able to hear what the Father was telling Him, and see what the Father was doing, His soul's mind was in tune with His human spirit's mind. He was able to receive understanding of God's desires and Heaven's perspective. So can we!! That is what is called revelation. Because our human spirit has a mind, it acts as a Super-conscious mind. It works from the Heavenly perspective, and it knows what our soul is thinking and what our heart is thinking. If we could find a way to be in touch with our spirit's mind, it would solve a lot of the problems that we struggle with, but have no reference point to understand. It would give us the answers to all the areas in which we are broken; all the different levels of how God designed us. We only have to look to Scripture to see that we can be broken on so many levels: How long will you torment me and break me in pieces with words? (Job 19:2). The Lord is near to the brokenhearted and saves the crushed in spirit (Psalm 34:18). He heals the brokenhearted and binds up their wounds [healing their pain and comforting their sorrow] (Psalm 147:3). Can you see the broken souls, hearts and spirits? And can you see the part that our conscious, subconscious, and super-conscious minds play in whether we are broken or whole? It is Christ who heals us and binds up our wounds and restores all the broken parts. But we must focus all of our minds on Him! If we can program our souls and hearts to be submissive to our spirit, we would be able to interface with Christ in Heaven and come into alignment with God's Kingdom and walk in wholeness, because in Him all things hold together. And isn't that what we all yearn for ... to be fully restored and complete in holiness and righteousness? Thank you to the teachings of Daniel Duval of Bride Ministries, who pointed me to Scripture, which was illuminated by the Holy Spirit. I am grateful to God for expanding my knowledge and for the journey I am on to be and think and act more like Jesus. Give me more, Father! 1 Thessalonians 5:23 Now may the God of peace Himself sanctify you through and through [that is, separate you from profane and vulgar things, make you pure and whole and undamaged—consecrated to Him—set apart for His purpose]; and may your spirit and soul and body be kept complete and [be found] blameless at the coming of our Lord Jesus Christ.